I agree with you on your points, including that the difference between exploration and discovery is fine. I think discovery is something that evokes more feeling in the player, which is something that I think ME:A fails to do. So, I guess you could say that discovery is exploration, but not all exploration is discovery, if that makes sense? just make a good game and let your audience take from it what they will. besides the very annoying change from heat limited weaponry to ammo based weaponry, it changed the combat dynamics so far to the worse imo. Well, pretty much confirmed as far as I'm concerned. I thought it sounded shady before they even released it. The whole "review embargo" thing always raises a red flag. They didn't get my money for this one. Sometimes I listen to those voices in my head telling me NO! @Zanteogo, thanks for posting that video. Mass Effect hasn't been quite the same since EA bought BioWare partway through the development of Mass Effect 2. The influence of EA on Mass Effect and Mass Effect 2 was far less than in ME3 and Andromeda, and that's why the first two are generally considered to be the best games by fans of the series. This guy pretty much hits the nail on the head in assigning a lot of blame to EA and generally gets everything right except for one thing: he says the game isn't terrible and it could be fixed with a few changes. Unfortunately, the game is terrible and it would take a complete deconstruction to fix it. After playing through every other Mass Effect game around 10 times, I was barely able to get through this one once, and it felt like a job doing so. Well, now that Visceral Games is gone (the guys that made Dead Space), I'm expecting Bioware won't follow along too far behind, as we've clearly seen a massive drop in the quality of their games. I know they've said "It's not all of us, it's just that one studio up in Montreal", but I'm not convinced, because that came about because of pressure from EA. 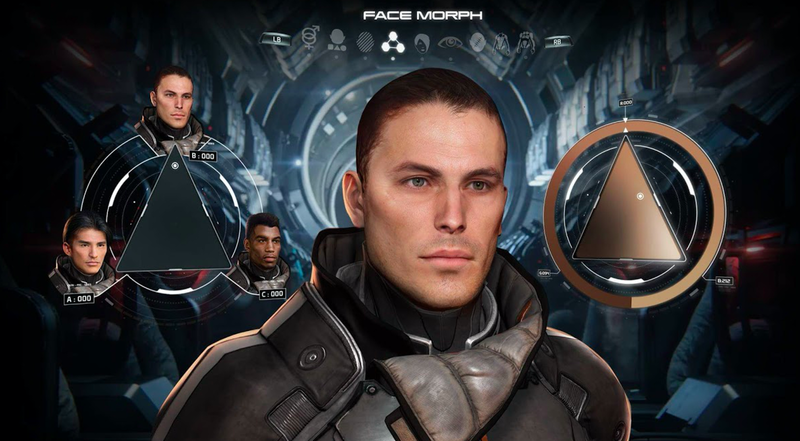 EA will likely apply the same pressure to the rest of Bioware. I'm expecting that Anthem won't do as well as many people seem to think it will. I'm expecting there will be a lot of microtransactions, pay-to-win, and other purchases that, while they may make EA a lot of money, will ultimately ruin Bioware's reputation among gamers, and the game that follows along behind it will do very poorly, partly due to politics within EA and Bioware, EA-mandated changes in how Bioware operates, and the simple fact that their reputation has gone downhill. After that, I rather expect it to be shut down, as EA realizes it isn't a cash cow anymore. EA has been the graveyard for over a dozen game companies, and I doubt they'll stop with Visceral. Will Limit Theory have loot boxes? BEWARE! : lootbox will shut down in 5 hours, 34 minutes. Extend time by 12 hours ? just 250 LT$ ! if your friend <SeriosGzz2005> buys the Gold LT$ package, you will get 1000 LT$ FOR FREE! LT will absolutely not have lootboxes. I'm hoping MorrowJosh will have "lootboxes" but I'll settle for derelict ships/stations for any looting opportunities in LT.
ahh… When times were simpler "lootbox" meant "box of loot" and that alone. Did I ever tell you how much I appreciate simplicity in all things, 0111narwhalz? Josh is not the only one here who considers the art of simplicity to be of paramount importance. The traditional "Lootbox" is best. Even if its an item that drops with a random selection of items in it, that you have to open either through gameplay, or at a specific place. rather than with money.